www.flowers-armenia.com Rated 5 out of 4 by 95 reviewes. A fully colorful and interesting bouquet of 25 seasonal flowers, such as roses, lilies, chrysanthemums - all in bright pastel colors. 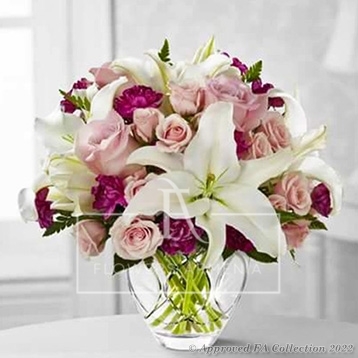 A stylish bouquet that looks beautiful in anyone’s home, office or reception area.